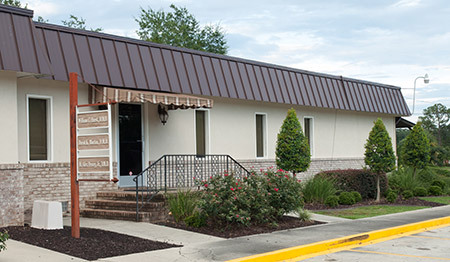 New Patients - Waycross, GA Dentist - Morton & Peavy, D.D.S. Your first visit to Morton & Peavey, D.M.D. establishes a vital foundation for our relationship with you. During the first visit, we make sure to obtain important background information, like your medical history, and give you time to get to know your doctor. To understand what to expect for your first visit to our practice, please read through this page. You’ll find all the practical information you need, such as a map and directions to our office, practice hours, payment policies and more. There’s also background information about our committed staff and our first visit procedures. You can even save some time at your first visit by printing out and completing the patient forms in advance of your appointment. We provide state of the art dental care in a small-town atmosphere. Many things set Morton & Peavey, D.M.D. apart from other practices, including the fact that our experienced and exceptional team is able to perform most all services within our practice. We strive to make all our patients comfortable and relaxed from the moment you step into our office until the moment you complete treatment. Call us today to find out how we can help you smile again!